Former Raith Rovers front man has signed a one year pre-contract with the SPL club. Gregory Tade has reportedly left Raith Rovers and joined Inverness Caledonian Thistle. The French forward has signed a one-year pre-contract deal with the SPL Highland club. 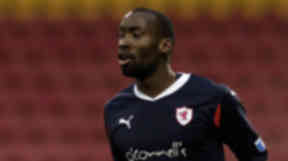 Tade, 24, played a major part in Raith Rovers' SFL first division title challenge last season and he and caught the eye of several SPL bosses but says he is sure he has made the right move. "I believe I am going to the right club and I am looking forward to the challenge of playing in the SPL." "I am delighted to be going to Inverness". The powerful striker told the The Courier. "I will sign for a year with the option of another." He added, "I will never forget my time at Raith Rovers. They are a great club with wonderful fans. "I also owe manager John McGlynn an enormous debt of gratitude. He does wonders there and hopefully I can line up against Rovers one day soon in the SPL."